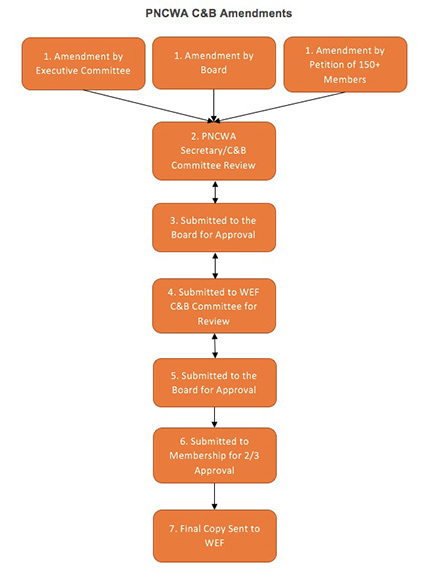 The Constitution and Bylaws (C&Bs) Committee is responsible for the underpinning of how PNCWA is structured, runs and stays in compliance with applicable non-profit laws and regulations. The C&Bs guide membership and the Board on how to conduct business and how to structure the organization. We have reviewed amendments to PNCWA, Region, and Section C&Bs and made recommendations to the PNCWA Board. The Committee activity is need driven, responding to C&B amendment review requests. We meet by conference call as needed and have one in-person meeting at the Annual Conference. This year the committee worked to detail the process for amending C&Bs at the PNCWA, Region, and Section Levels.